Composer and saxophonist Garrett Michael George is receiving recognition from composers around the country for his craftsmanship and originality. Drawn from the wellsprings of jazz, chamber music, bluegrass, American avant-garde, and Christian liturgical music, his work is characterized by an honesty of emotion and a sense of longing for the divine. His art song, The Song Goes On, praised by composer David DeBoor Canfield for its “humor” and “subtle undertones,” was featured at the Christian Fellowship of Art Music Composers National Conference and named a Semi-Finalist for the American Prize. Garnering acclaim from notable composers Jennifer Higdon, who named him a Finalist in the Lake George Music Festival Composition Competition, and Chen Yi, who awarded him First Prize in the Biola University Composition Competition, Garrett George writes music that is direct and powerful. His other awards include four-time finalist in the Biola University Composition Competition, two-time winner of the Professional Ensemble Recording Competition (PERC), and the Rayner Brown Composition Scholarship. Highlights of Garrett’s saxophone career include performing at the Troubadour in Los Angeles with the Show Ponies as well as a concert featuring the Grammy-winning Judith Hill (Michael Jackson, The Voice). He has also performed in Meymandi Hall, UCLA Little Theater, The Wayfarer, Raleigh Civic Center and Cinema Hall, and he has shared the stage with artists such as Rique Pantoja, Phillip Glenn, Ron Kobayashi, Cliff Hulling, and Jason Harris. 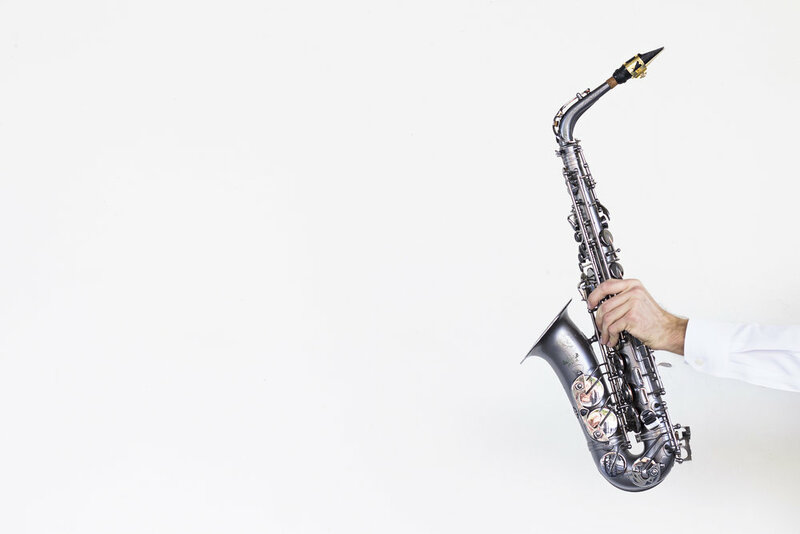 In over sixty performances throughout California and Arizona, Garrett crafted and presented innovative music education outreach programs for students of all ages with the Honors Saxophone Quartet of Biola University. Equally adept in classical and jazz settings, his artistry combines the spontaneity of improvisation with a hard-practiced rigor. Garrett has attended the EAMA Nadia Boulanger Institute in Paris, where he studied with Boulanger’s pupils including David Conte and Philip Lasser, as well as the Upbeat International Summer Music School in Croatia with Joel Hoffman. He holds a B.M. in Composition from Biola University, where he studied with Robert Denham and was named both Outstanding Composer and Outstanding Winds Musician. He lives in Cincinnati with his wife, pianist and musicologist Christina George.